For all Bout of Books 13 information and updates, be sure to visit the Bout of Books blog. You can find my sign-up and goals post here. 1. You must be a Bout of Books participant to enter. 3. Find four books with covers almost completely in that color/those colors (they need to be at least 2/3 similar - basically they need to match or be the same color - i.e. all green's, all yellow's, or match like the black and purple ones below). 4. List the books somewhere (blog, Twitter, Facebook, etc.) or paste the pictures of the books online in a post on your blog or on another site. (You can also list the books in comments.) Simply, I just need to know what books you picked so I can check your entry. Obviously we'd love it to be a picture, but not everyone can do that and it isn't required for this challenge or to enter the giveaway. 5. 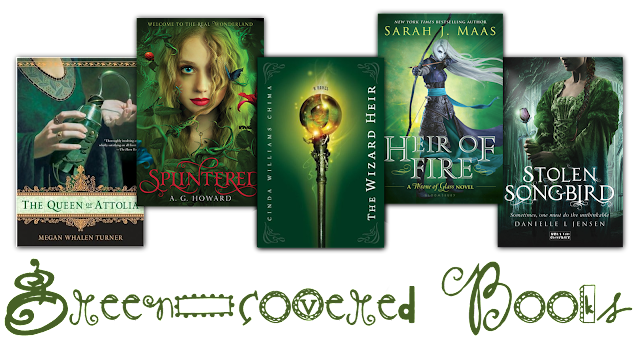 I'd love you to use #boutofbooks and #covercolorchallenge if you share on Twitter. 6. Then come back here and leave a link in the comments below to where you posted (so we can all see) and in the Rafflecopter for the giveaway (if you left a note in comments and didn't post somewhere then you can just state that and leave the name you commented under instead of leaving a link in the Rafflecopter). Now it's your turn! Leave a list of your books or a link to them in comments so we can all see and in the Rafflecopter below for the giveaway.